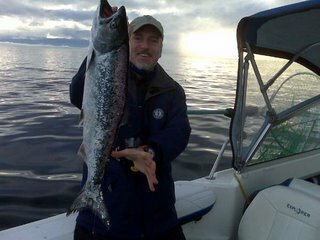 Sooke's salmon fishing continues to be steady, with small-medium chinook being caught from the harbour mouth to Otter Point. Depths are 120-160, with some anglers choosing anchovies and other hootchies. For those willing to make the run, the fishing is reported to be hot towards Pedder Bay and out to Constance Bank. Sooke's weather remains mild, fairly dry, cool, not much wind, and unseasonably foggy. Get out there and catch a winter spring for the bbq!